32W 4-Pin Kosnic GX24q-3 / PL-T - 10,000 Hour 4000K Lamp. 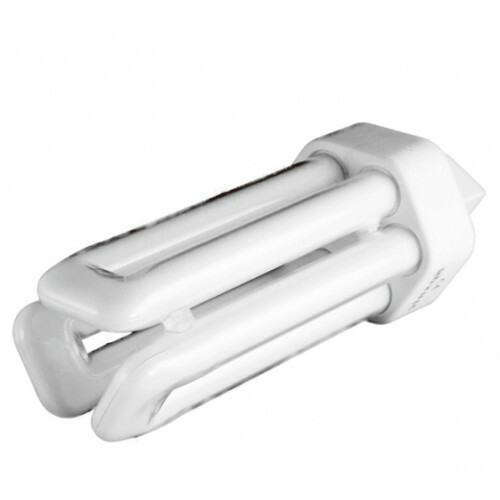 These light bulbs / lamps have a triple tube and are the same as Kosnic Exun-T/E, Philips Master PL-T 4 pin, Osram Dulux T/E, GE Biax T/E or Sylvania Lynx-T/E. NB: These light bulbs can only be used in a fitting that requires these 32 Watt versions.